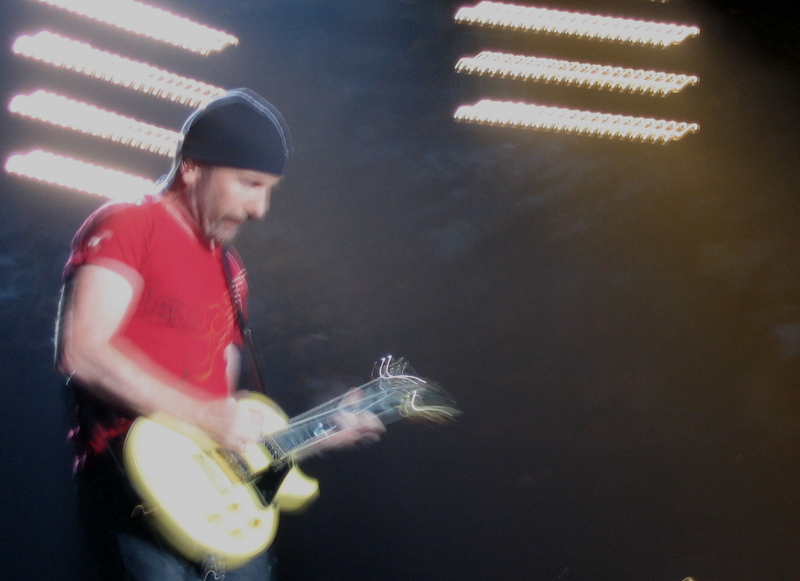 Hey there, I've had dozens of requests from fellow concert-goers and U2 fans for me to e-mail my photos to them. Please understand that these are big, fat image files which may be too much for your inbox to deal with. The best thing for you to do is to join Flickr for free. 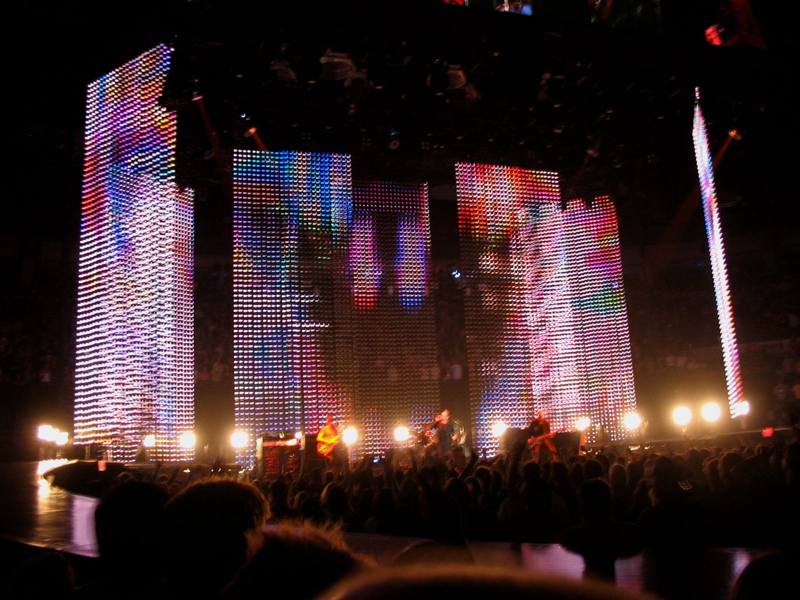 Then, go to my 'U2 in Toronto' photoset, click 'all sizes', and you can download whatever you want. Go ahead, be my guest! Just give me credit if you use my photos, okay? If you want an original file with no light adjustments or cropping, leave your e-mail and the photo name in the comments section here, or send me a message through Flickr (I'm andreakw). And do let me know if you have photos of the September 12th or 14th shows (lots of mine were too blurry), or of the 'meeting Bono' event described below. I'll be posting my concert reviews just as soon as I get some sleep!